Во текот на вчерашниот ден, Македонската православна црква, преку својата хуманитарна организација "Милосрдие", а во соработка со DHL, посети домови на настраданите во поплавите во с. Стајковци и подели средства за лична хигиена, средства за дезинфекција и чистење, перници, јоргани и вреќи за спиење. Акцијата ќе биде спроведена повторно. За потсетување, хуманитарната организација "Милосрдие" и претходно подели околу 1400 пакети детска храна, која беше доставена во ОУ "Свети Кирил и Методиј" во с. Стајковци. Greater appreciation of Matej Pirnat - Škofijska Karitas Celje for donation of good and finical support during the winter period. In the reception center for Asylum started the classes of Language for children and adults who seek asylum in Macedonia And theRoma children who is in the centerstarted to go and have Opportunity to learn to read and write and l learn about Hygiene they visit classes . 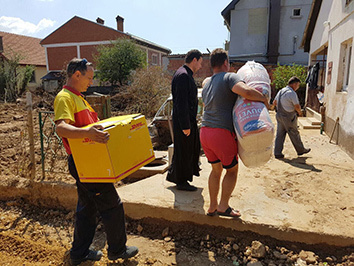 We received help from Caritas ŠKOFIJSKA CELJE thanks of donation. And they visit us, for the next cooperation. Humanitarian Organization from Germany "Die Johanniter Unfal Hilfe Köln" was donated a medical aid equipment and other things for poor people. In resent visit from Michael Shoepf JRS Director for Europe and his assistant Luigi Romano, which they had a chance to tour the Center for Asylum had various meetings with the Macedonian Archbishop Stefan as well as members of the Ministry for Social Work. In the visit Michael and Luigi had better understanding of the operation that we have in regards to the center for Asylum. 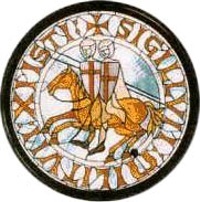 The Knights Templar of Jerusalem accepted a new member to there organization which will encompass Humanitarian activates in R. Macedonia. 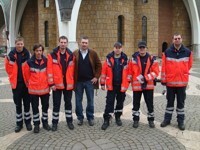 OSMTH will support activates of the Church Humanitarian Organization. With gratitude toward all the donation, the centre for paraplegics and handicaps located at the St. Gorgija – Ohrid, continues to provide services to all children in needs with different daily activates that develops there physical motor development.